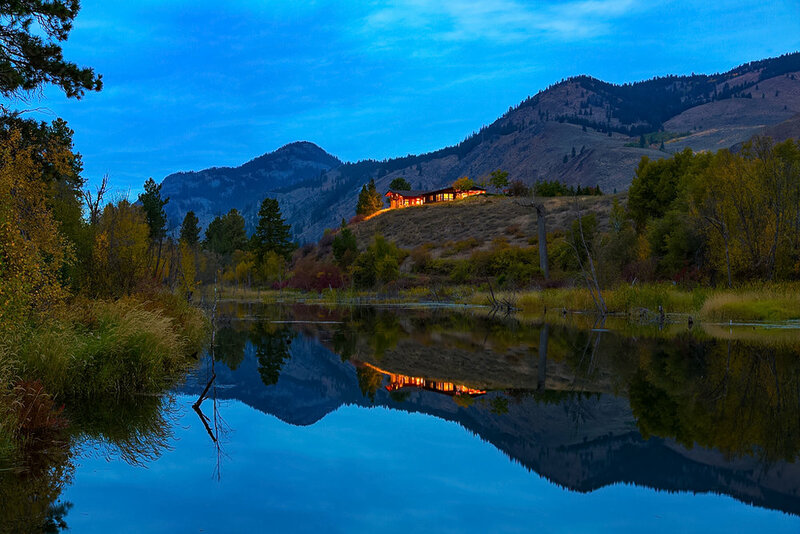 Big Valley Ranch is a singular combination of spectacular siting, thoughtful and timeless contemporary design and meticulous attention to detail that define the property as one of the premier year-round properties available in the Methow Valley. 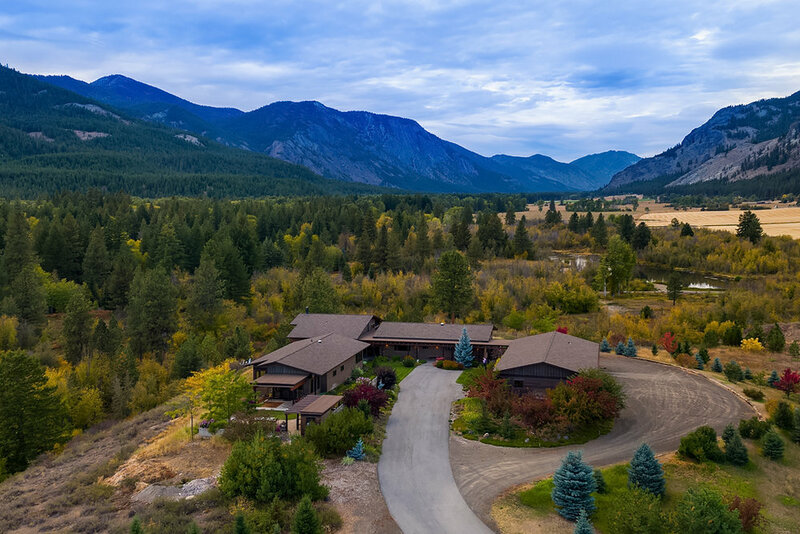 Located just off the North Cascades Highway, the ranch offers commanding up valley views of some of the most unspoiled and natural pasture in the area, backed by dramatic vistas of the North Cascades and protected on all sides by state land and a 142-acre conservation easement. This is that rarest of estates that offers luxurious comfort and space, while still managing to convey a sense of modesty and appropriateness in the face of Nature’s astounding natural beauty. 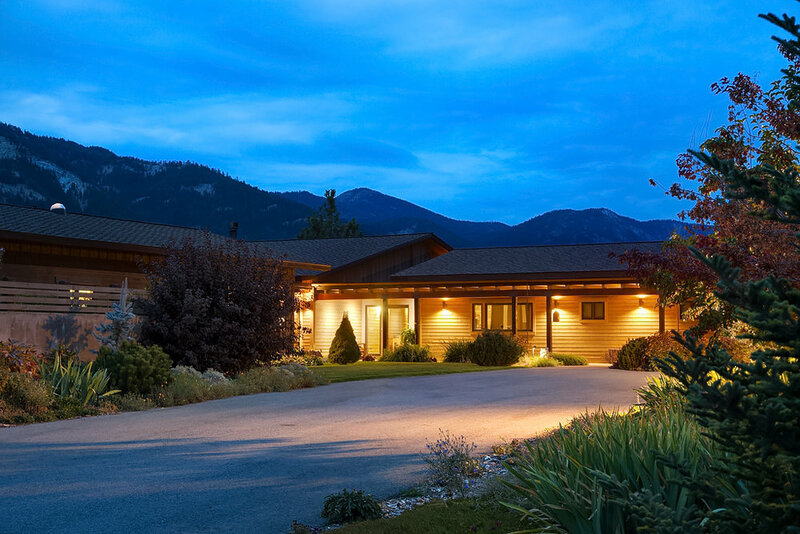 A gravel drive winds from the Cascade Highway to the entry courtyard around which the residence is constructed, capturing stunning views of the surrounding lands, hillsides and North Cascades mountain range in the distance. The house presents a low profile, sheathed in native cedar with deep roof overhangs for shelter from the snows that make this region one of the great cross country ski and winter sports havens of the country. The exterior combines modern building design with honest local materials creating a low-slung aesthetic that is evocative of the region’s historic architecture, yet timelessly contemporary. A modified L-shaped floor plan naturally defines public, private, and guest spaces with an effortless sense of flow and continuity that is centered by a great room with attached kitchen, and then branches out to include a dining area in its own windowed corridor, master wing and guest wings. Each side of the house includes porch and patio areas for outdoor enjoyment and natural air flow while terraced, board-formed concrete planting beds create multiple levels for gardening. Native plants compliment the surrounding countryside and further blend this singular residence into its environment. 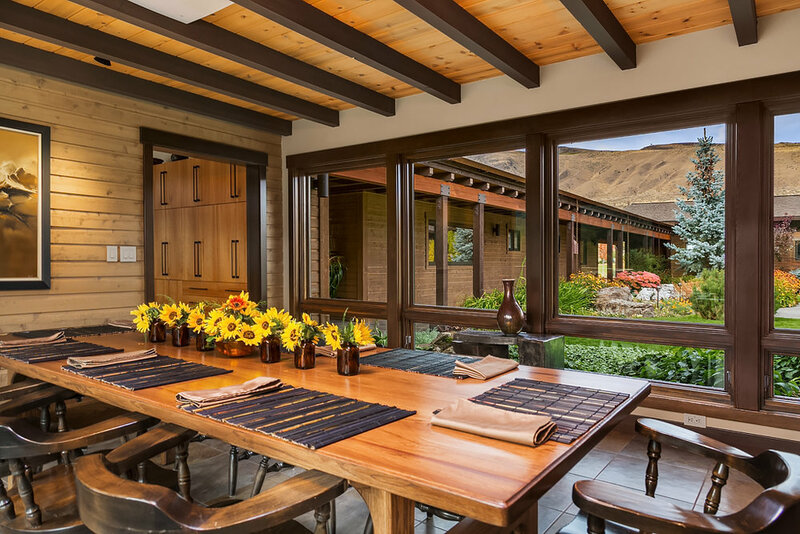 Despite its grand scale and voluminous rooms, Big Valley Ranch maintains a very approachable sense of modesty and casual elegance – the result of a careful collaboration between its owner and Balance Architects (now partnered with Geoff Prentiss to form Prentiss+Balance+Wickline). 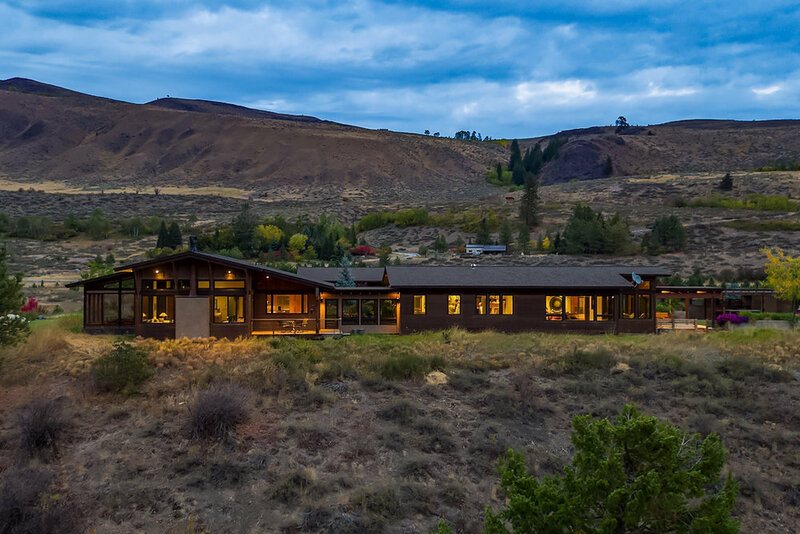 The design goals were to create a series of linked spaces that would flood the home with natural light and frame vistas of the surrounding acreage while affording autonomy for owners and guests, alike. 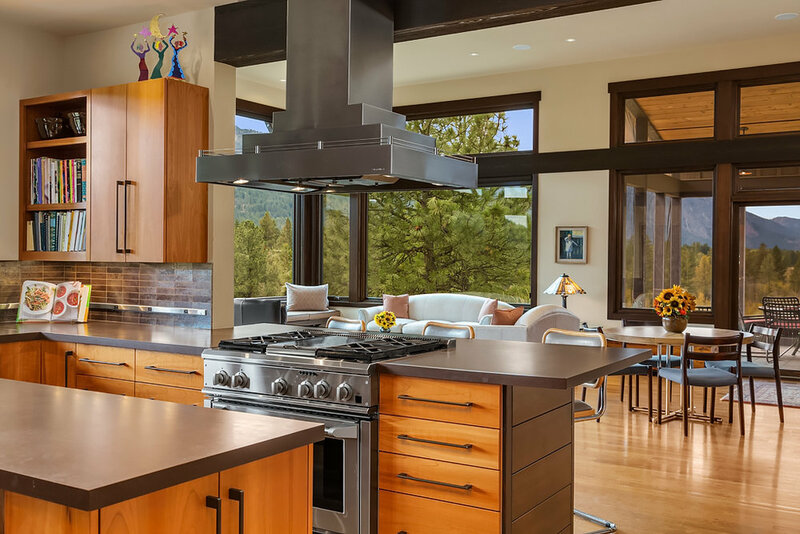 Using a simple palette of dark-stained fir for trim, mixed-width wide-plank oak flooring and slab cherry for built-ins and casework, the design team created light-filled interiors that evoke the colors and textures of the surrounding terrain. Natural stone tile is used in high-traffic areas and as surrounds for the fireplaces, while carefully selected, artisanal tiles feature in each of the home’s four baths and kitchen backsplashes. Entry to Big Valley Ranch is via a graciously-scaled and low-slung foyer that allows views through to the property and Cascades beyond. The ceiling is beamed and car decked to afford a sense of intimacy that then opens to reveal the spacious living room with its high ceiling and clerestory windows. This central room provides a brilliant frame for the jaw-dropping views surrounding the home and sets the stage for more specific framing elements in the other wings. 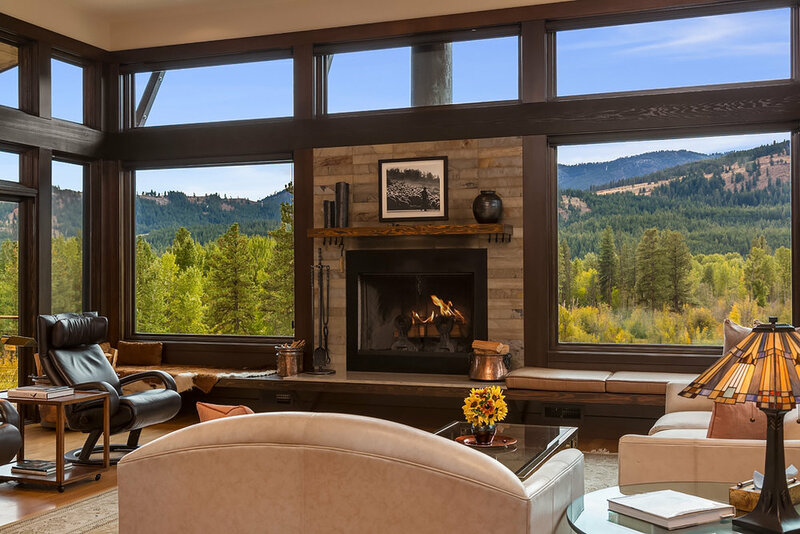 The living area is wrapped on three sides by vast picture windows with large clerestory units above to capture majestic vistas and restful sky views. A large screened porch directly off the living room is the perfect place for afternoon relaxation during warmer times of the year and overlooks one of the property’s three ponds. An expanse of windows across the back wall is only interrupted by a fireplace with a raised hearth and bench running across the entire wall and clad in native stone. Across the room, a wall of custom built-ins helps define an informal dining area off of the kitchen. Just off the living room sits an open gourmet kitchen, suitable for the most devoted chef. 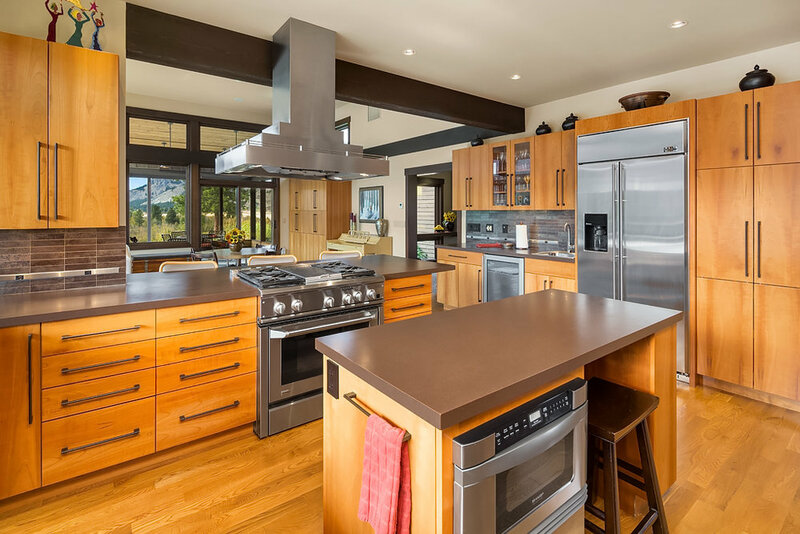 All cabinetry is custom made from slab cherry with modern bronze hardware, and a peninsula provides casual seating for four around the range area. Appliances are all GE Monogram and include two built-in refrigerators, a 36” propane range with electric oven, an additional wall oven, dishwasher and wine refrigerator. The room is laid out to provide a spacious and casual hub of the home – a place where family and friends can gather to prepare and enjoy meals, but also a high-performance workspace for large-scale catered events. 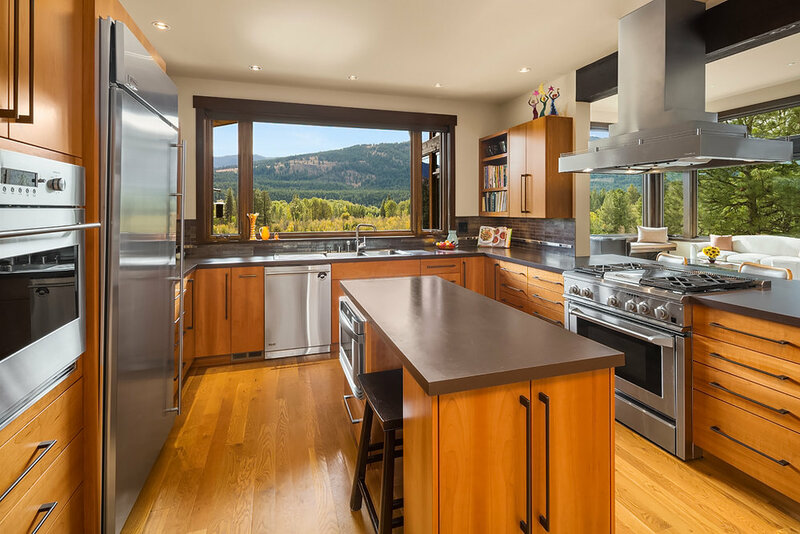 The kitchen leads through to a spacious dining room corridor that is glassed in on either side with ventilated picture windows overlooking the entry and creek. Like the entry, the ceiling is beamed and decked in natural cedar to create an enhanced sense of intimacy and better focus attention on the vast countryside beyond. This area can easily accommodate a large dinner party and is also a wonderful space for casual enjoyment and discussion. Floors are tiled in large format porcelain for durability and ease of maintenance, and a glass door opens onto a private covered dining deck that overlooks the property’s creek and three ponds. The dining room flows gracefully into the master wing of the house, a private enclave that contains a laundry room, home office, his and hers baths with walk-in closets and an expansive master bedroom. 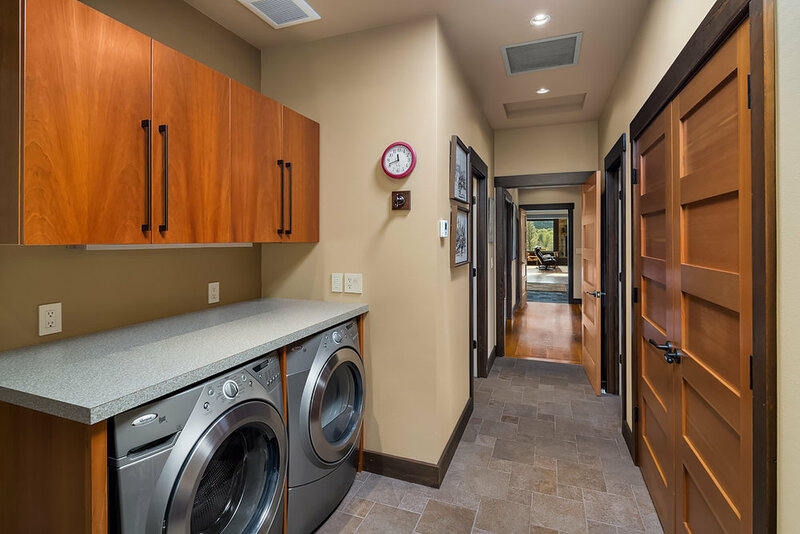 The laundry room is a deep space that is fully outfitted with custom cabinets and built-ins to facilitate easy organization and airing of clothing and includes a large wash sink and Whirlpool Duet front-loading washer and dryer under full-length counters. 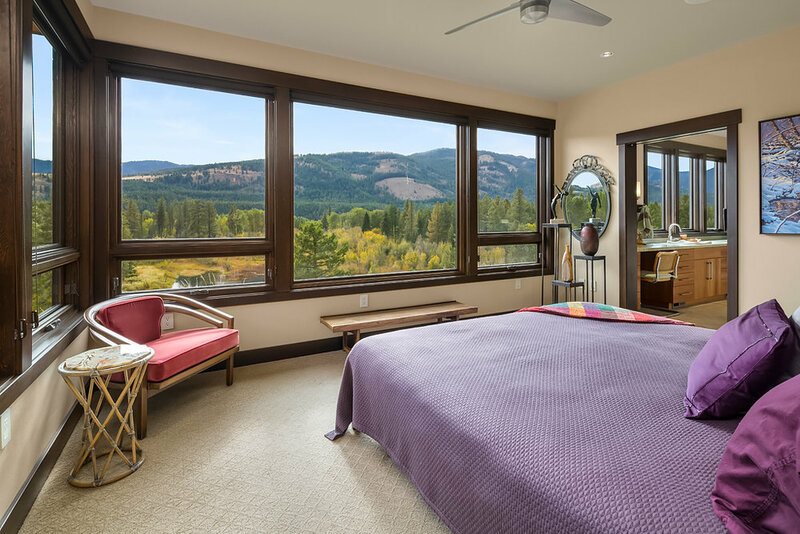 The master bedroom is a peaceful retreat surrounded by walls of windows that flood it with natural light and frame views of the Methow Valley beyond. 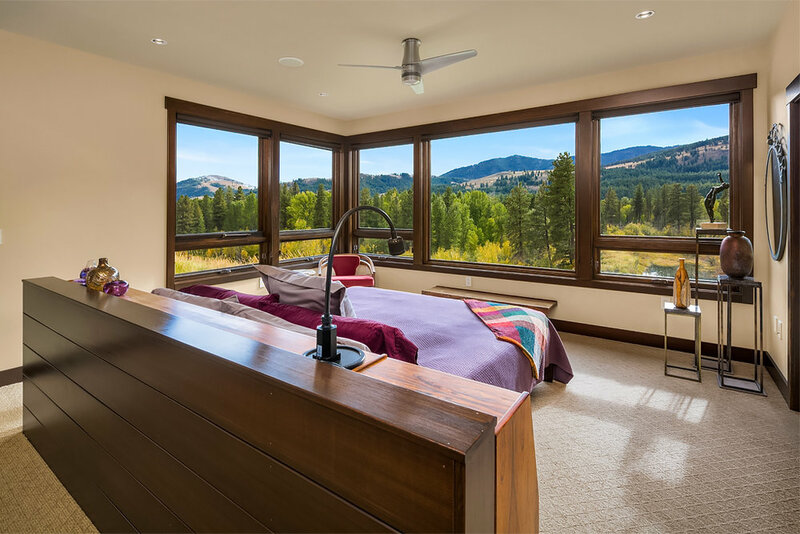 The bed is built in to a custom partial wall that allows it to easily occupy the center of the room for passage and enhanced views. A private sunroom is accessed from the back corner of the master and is a delightful, climate controlled space from which to enjoy the scenery. 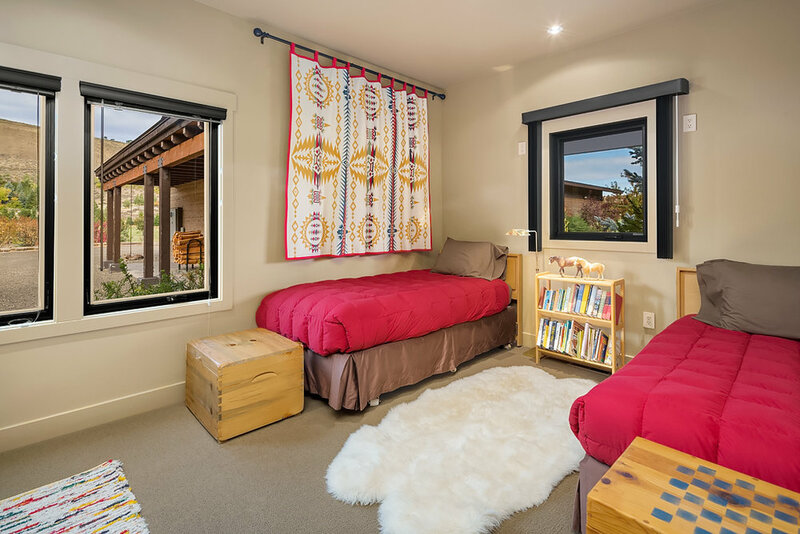 This room opens out to a covered patio that is fully plumbed and wired for a hot tub and which also features a hanging porch swing for languid afternoons spent taking in the landscape. 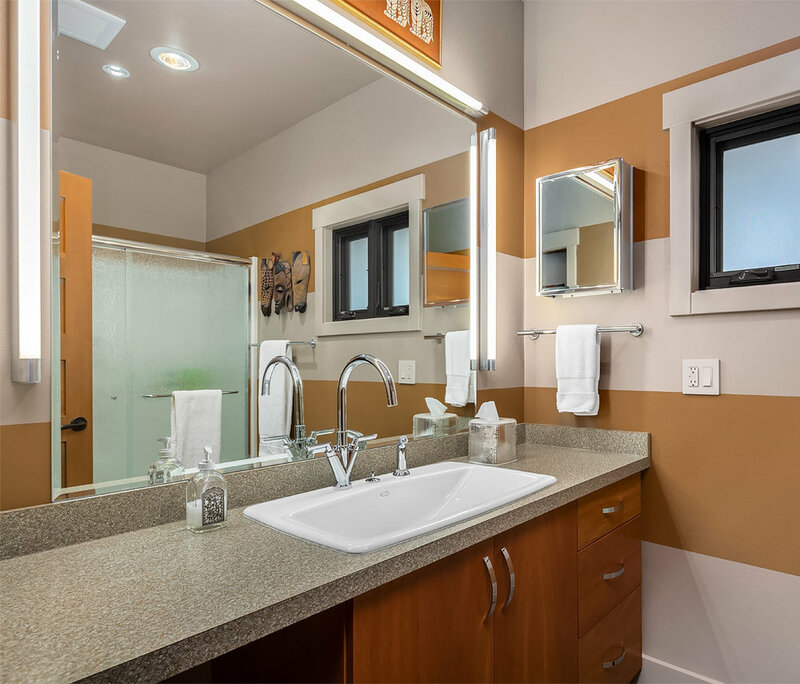 Around the corner from this area, lies the first of two master bathrooms, with stone floors, a large walk-in shower, custom cherry and quartz vanity and ample built-ins for storage and display. This room opens into a huge, walk-in closet with additional built-ins and counter space. On the other side of the bedroom, a door opens to the second master bath – this one featuring a full wall of cabinets and counter space for makeup, storage and admiring the view. 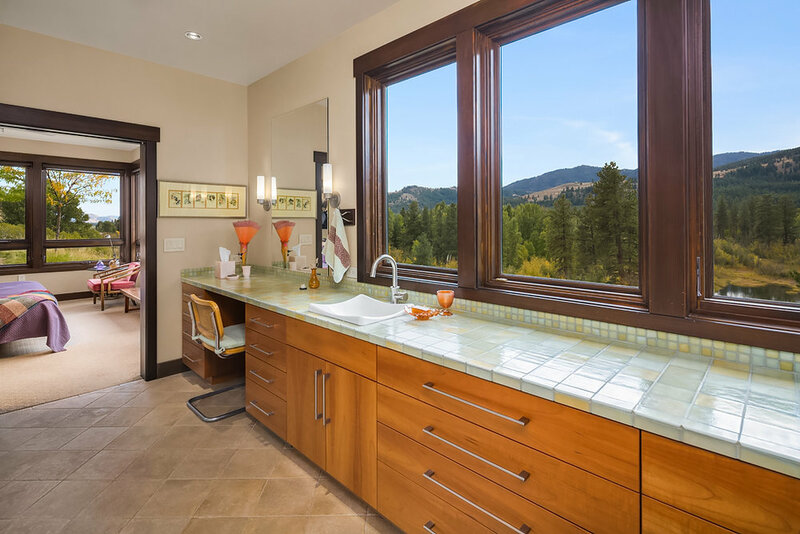 Surfaces include porcelain floor tiles and a counter made up of gorgeous opalescent glass tile, while the water closet is centered on one of the windows to afford a glorious view. Just off the bath is another spacious walk-in closet. The hall around which the master wing is oriented contains numerous built-ins for linens and storage, and leads to one of two offices in the house. This room is surrounded by windows that overlook the entryway and is outfitted with built-in cabinets and a desk. It is sufficiently spacious to serve as additional sleeping space, should the need arise. The guest wing of the house is accessed directly off the entry foyer. It can easily be closed off for privacy by a single door, or left open for easy flow to the media room and library just off its entry hall. This substantial space includes a wall of bookcases and a custom island that houses television and media equipment to facilitate easy passage and comfortable viewing in a warmly enveloping atmosphere with built-in speakers for surround sound. Directly across from the media room, the second office provides a full wall of built-in desk space that overlooks the entry courtyard. This is ideally situated in the house to afford autonomy and privacy for day-to-day business activity and is suitable for the owner who wishes to maintain easy contact with professional interests in the outside world. Continuing deeper into the guest wing, three additional bedrooms are arranged along the hall and share two baths, as well as a dedicated laundry area. 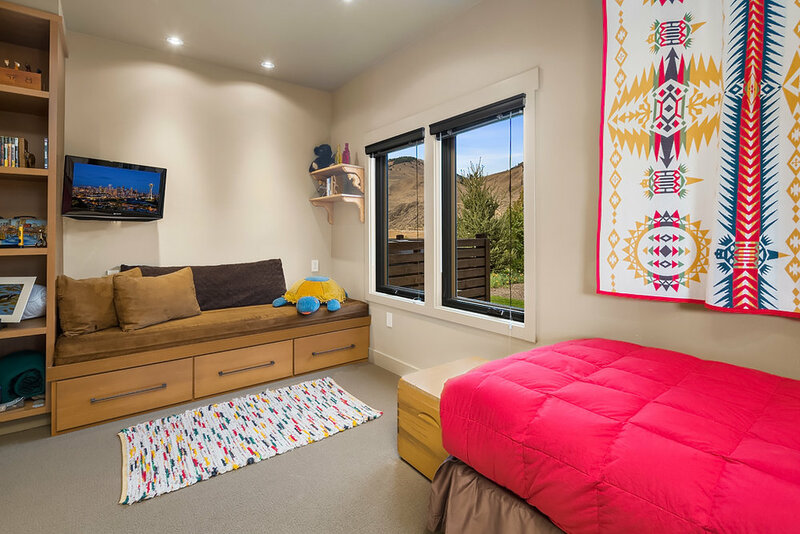 The larger two of the three guest rooms boast floor-to-ceiling windows that frame dramatic up valley views over the property, while the kids’ bunk room can easily sleep three. One of the baths features a walk-in shower and bassinette sink, while the other is opulently appointed with a two-person jetted soaking tub, surrounded by elegant pearlescent tiles and includes a vanity with quartz counter. Deep, built-in storage closets abound, providing plenty of long-term and seasonal storage options in every area of the house. Custom lighting throughout is designed to afford spotlighting for art and collections, as well as adjustable ambient light, and the house was oriented to follow the winter sun as it traverses across the sky. The garage area functions as a fully finished and heated utility wing of the house, offering a spacious and private car parking area, a large workshop and a very generous additional two car garage area that is suitable for utility vehicles and grounds keeping equipment. In addition, a convenient lavatory is plumbed in for the shop area, allowing for the potential conversion of all or part of this wing into a caretaker’s suite. Comfort systems include a propane-fueled heating plant and central air conditioning. 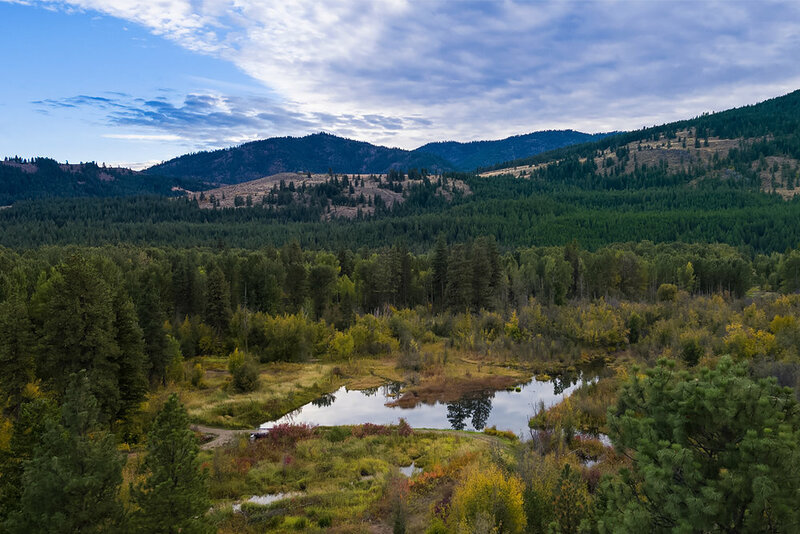 Over the years, the family has proven to be great stewards of the land, selling 800+ acres to the state as public land and setting aside 140+ acres in a conservation easement to ensure the long-term future of the surrounding countryside. The grounds include three ponds that are connected by a creek, the mother pond spring-fed for a steady supply of year-round water. 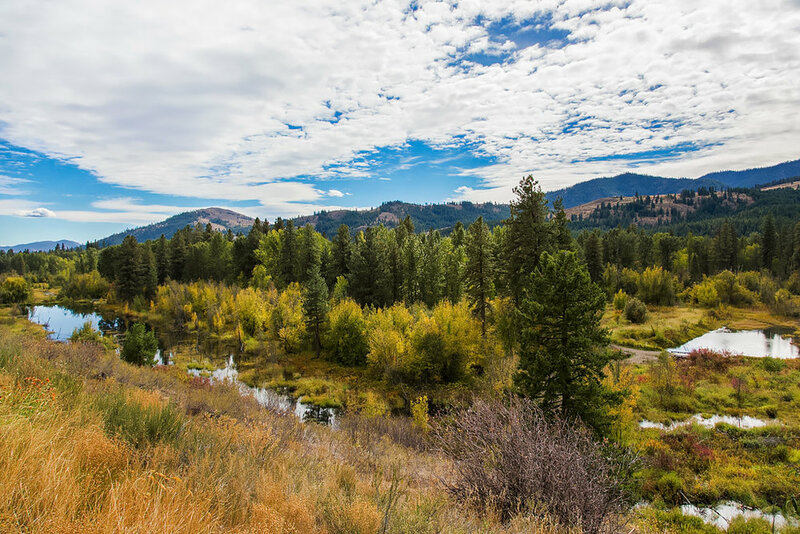 The property as offered consists of 172 acres in total, 142 of which are protected in perpetuity by a conservation easement, and 30 of which are open for further improvement. 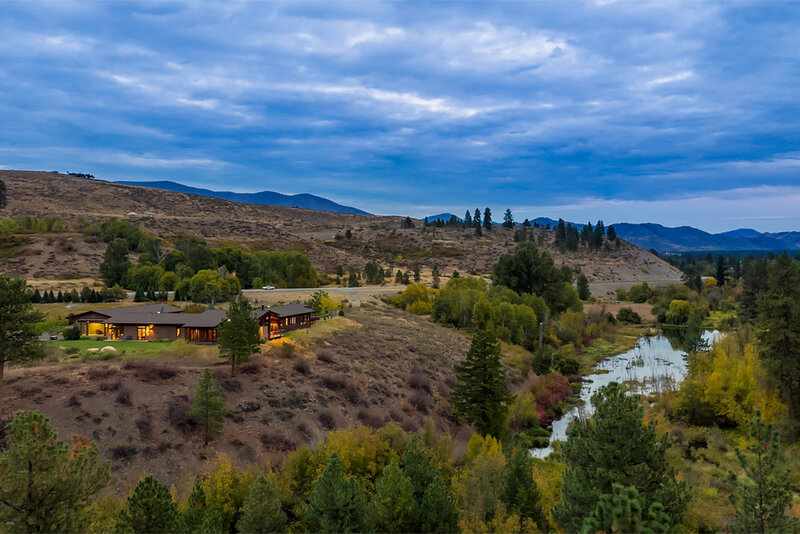 Big Valley Ranch sits in one of the most breathtaking spots in the Methow Valley of Okanogan County, Washington’s most popular year-round recreational area, and an extraordinary oasis of unspoiled natural beauty in the foothills of the North Cascade Mountain Range. 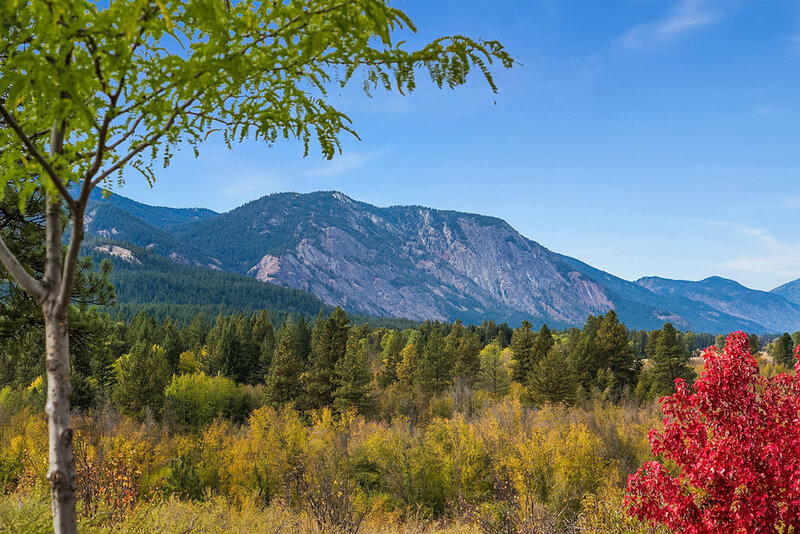 The towns of Winthrop and Mazama are the ranch’s closest neighbors, and they offer an eclectic mix of Old West aesthetics, coupled with modern amenities and a wide range of cultural and outdoor activities. 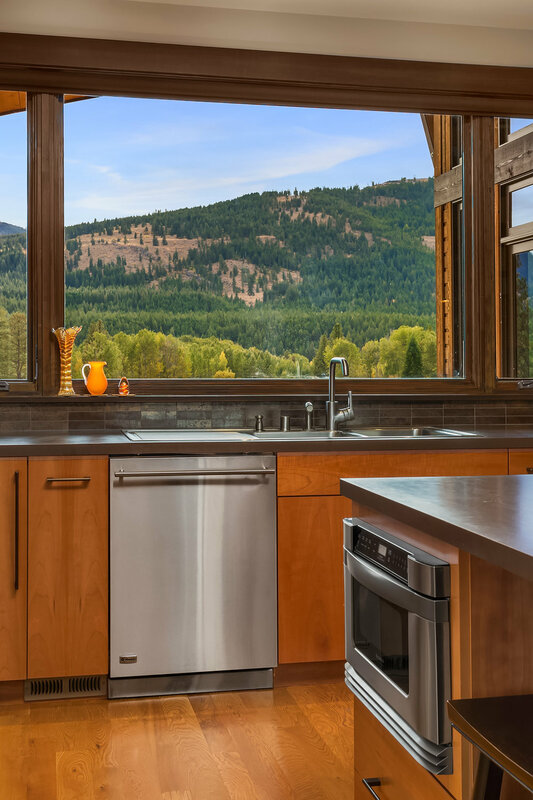 The Methow Valley is a year-round residence for an increasing number of people seeking more natural surroundings and an outdoor lifestyle. As such, the area boasts a wide variety of cultural and arts organizations, as well as a growing range of entertainment and dining options that include numerous restaurants, breweries and galleries, as well as extraordinary resort properties such as Sun Mountain Lodge and the Tom Kundig-designed Rolling Huts. Popular events include annual hot air balloon, rhythm and blues and chamber music festivals, as well as numerous holiday events and the Winthrop Rodeo. 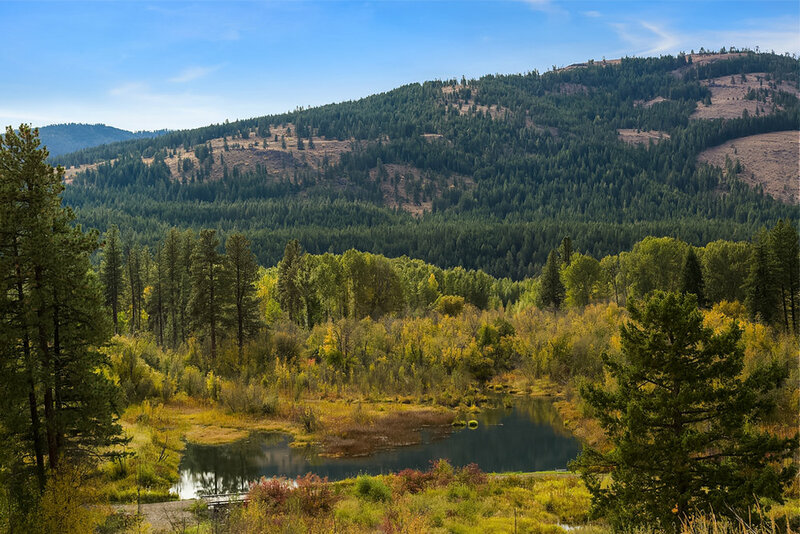 The region is within proximity of the burgeoning Yakima Valley wine country and Lake Chelan, and is about a four-hour drive from the Seattle metropolitan area and Vancouver B.C. 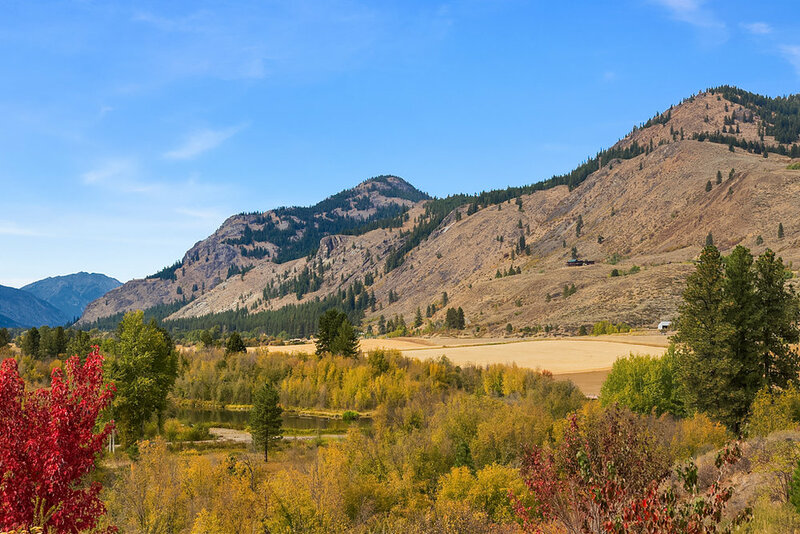 With over 120 miles of groomed cross-country ski trails, the Methow Valley is the nation’s largest Nordic skiing location, but also offers alpine skiing, snowshoeing, sledding and snowmobiling for the dedicated winter sports enthusiast. 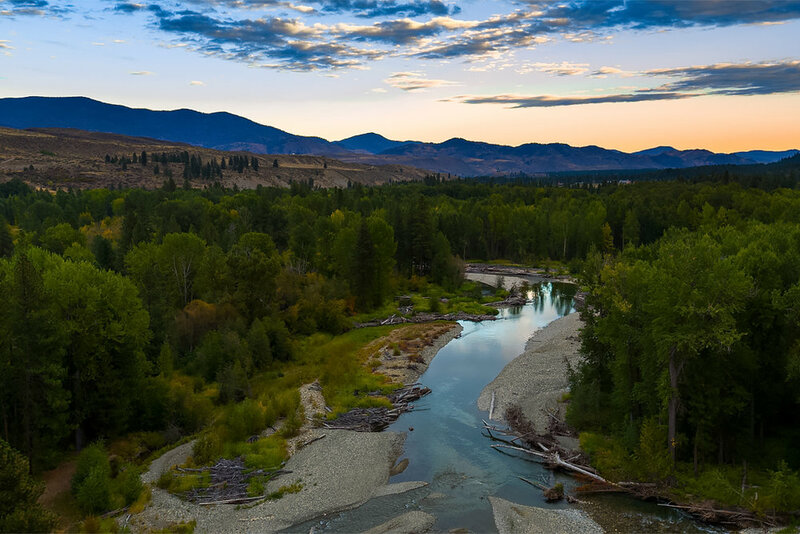 This unique network of trails is also accessible during the fall, spring and summer months for mountain biking, hiking and trail running, making the Methow Valley a world-class and renowned outdoor recreation destination throughout the year. Nestled in the North Cascades, the area also offers incredible climbing and hiking opportunities, while popular summer activities include golf, fishing, road cycling, horse-back riding and river sports, not to mention the simple pleasure of sight-seeing. The area is a pristine natural paradise that is open and accessible year-round for escapes that range from the laid-back and relaxed to the most strenuous and exciting. 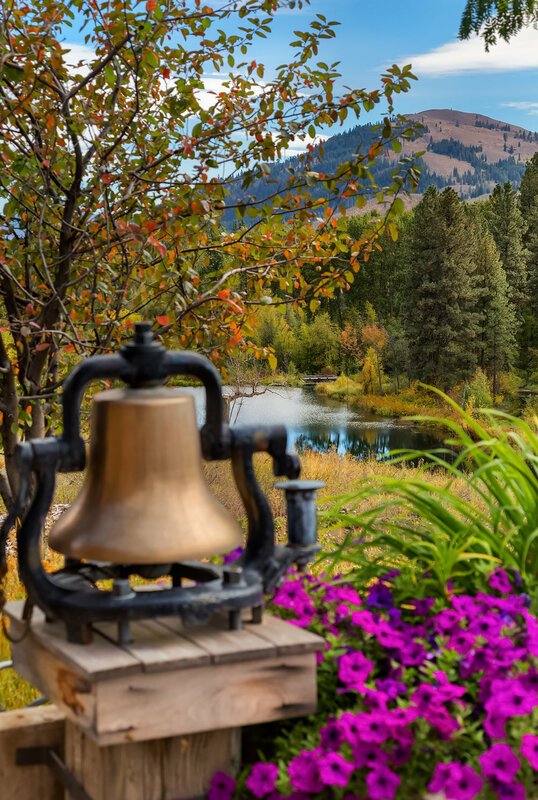 Whether used as a full-time residence, or as a prized vacation escape, Big Valley Ranch offers brilliantly rigorous design that is optimized for its rural location, coupled with sublime comfort and luxury that belie its origination as a working ranch. It embraces the modern while not turning its back on materials and forms native to its region, and creates a sense of place that is both authentic and full of wonder. This is country living that is both honest and evocative of its regions history, with an equal level of respect and deference to the future.